This gorgeous contemporary recessed light fixture features the power of two 50 watt GU10 lamps which provide attractive and powerful lighting for any room in your property. 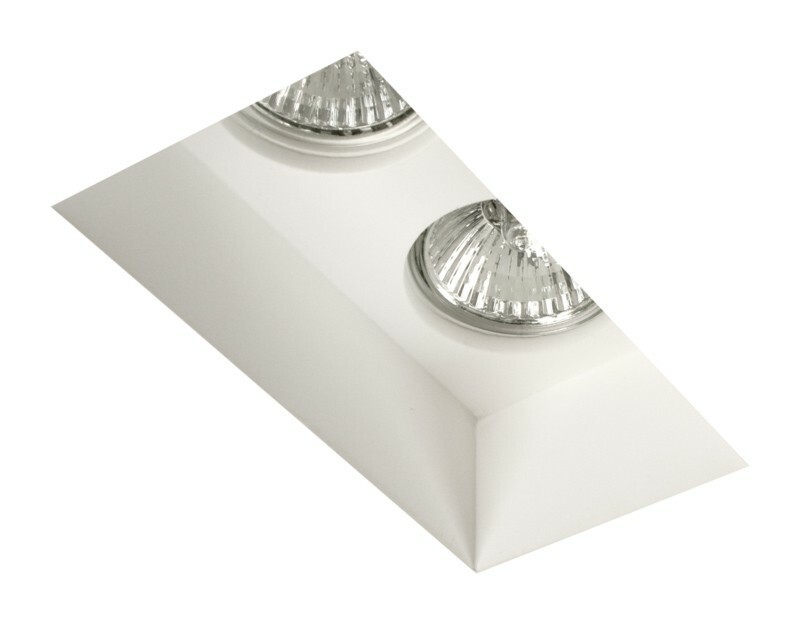 This recessed light fixture is perfect as feature lighting for book cases, or works of art. It can also be used as the main lighting in your room and adding multiple down lights can create an amazing effect in any room. The plaster finish on this interior downlight makes it perfect for any room in your that you feel it would enhance..
Additionally, the maintenance and cleaning of this recessed light fixture is simple as it requires little more than dusting.